We discovered this New Look dress last week and already have one in all three colours. It's this kind of dress that makes us want to organise brunch. This season, New Look is the place to be for dresses for all occasions - it is full of them. When we spied this New Look dress, though, we pinpointed it for brunch or lunch or daytime pints in the spring sun. And when we spied it, we wanted that time to come, like, right now. Here are the five things we definitely won't be wearing this spring. 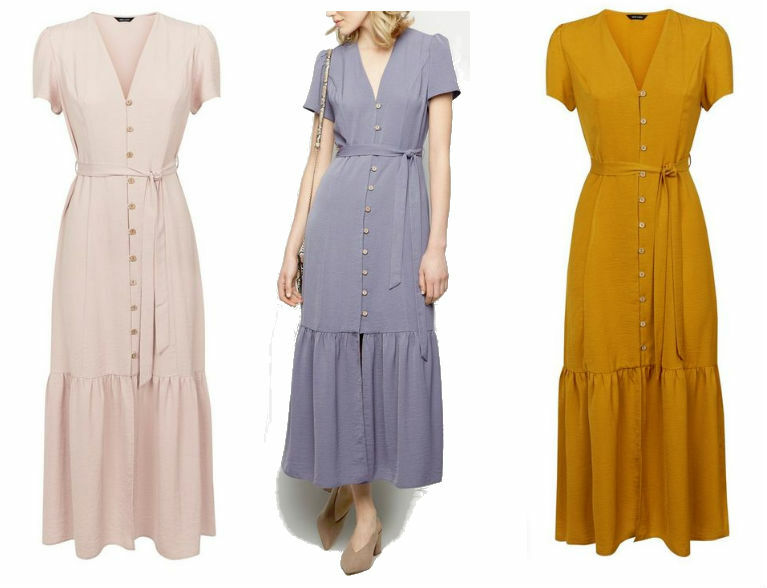 I love the dress in the gorgeous soft grey colour, but I'm glad it comes in that dusky pink and off-mustard so that we won't all be wearing the exact same one. But, if there's any chance you're not into it (it could be a bit 'prairie' for some people, even though that's one of the It styles for 2019), there are plenty more to choose from. As I said, New Look is the place to be for dresses this season. And they're so cheap, too. 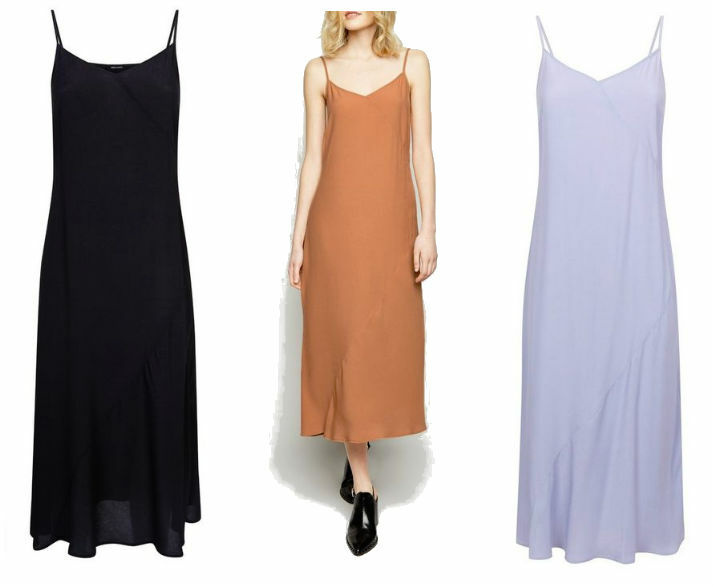 Here's its (a little bit cheaper) version of that famous Topshop slip dress. It's a handy dress to buy now, actually, as it's pretty versatile. Everyone will be wearing it as a slip in summer (with white runners), but up to then, wear a long or short sleeve t-shirt under or a big chunky jumper over. Do you like the look of the 'brunch' dress? Or do you prefer the slip? Have you any idea of what style you're planning on adopting for the warmer months?